Please note coins come in a booklet, however, box and COA are not included. 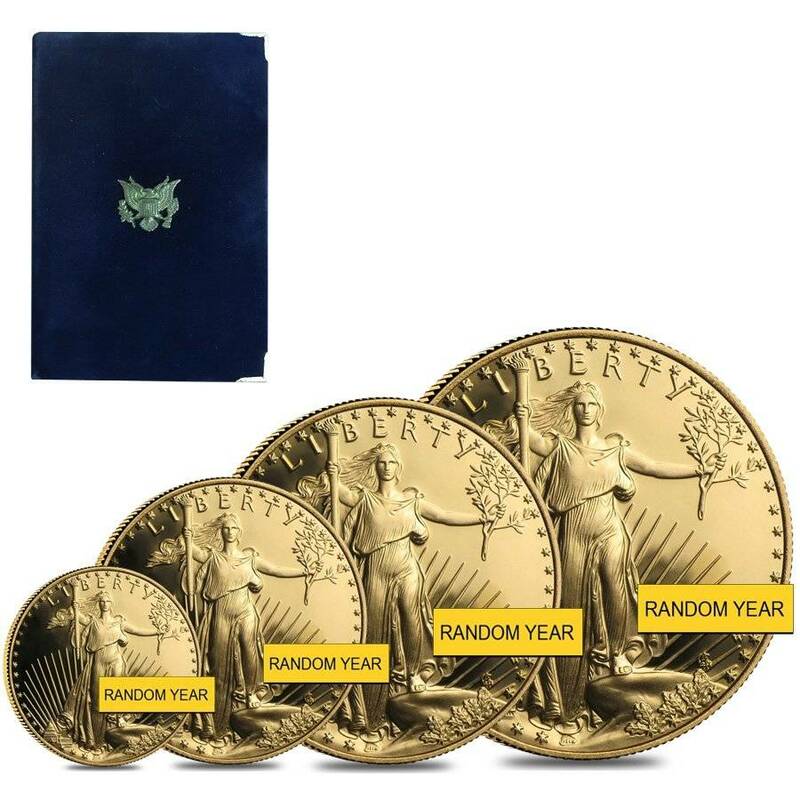 This Gold 1.85 oz American Eagle Proof 4-Coin Set (Random Year) will make an excellent addition to your collection. 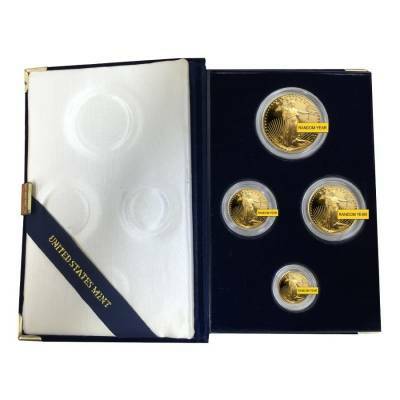 The set offers all denominations of a single year of the Eagles each made from 91.67% fine gold. The obverse features Lady Liberty marching to the future with confidence. Inscriptions include "LIBERTY" and the year of mintage. The reverse displays a family of eagles, with the male flying above and the female carrying for the little ones. Inscriptions include the denomination and weight. For every $1 spend, you will earn 1 Bullionaire Buck which is equivalent to $0.001 off a future purchase. 2467 BB = $2.47.